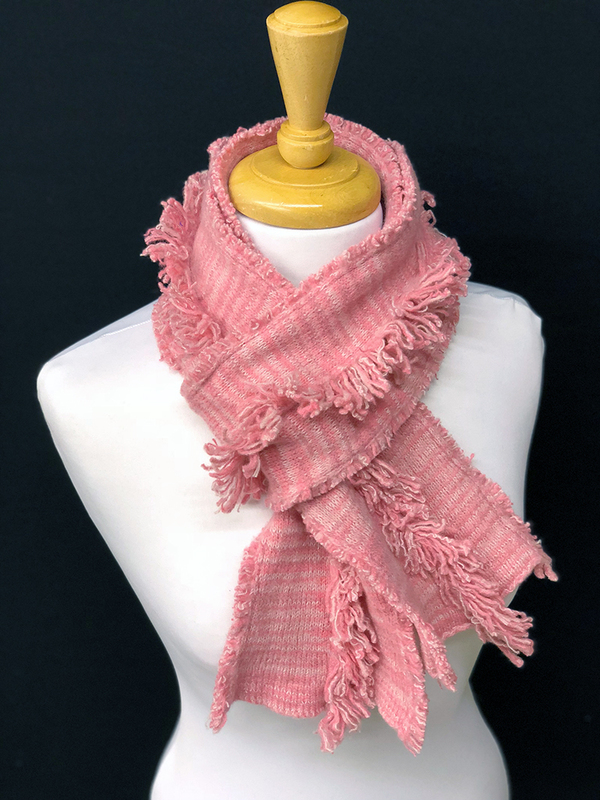 Classic neck scarf with a raw edge, funky fringe, and subtle tri-colored design. 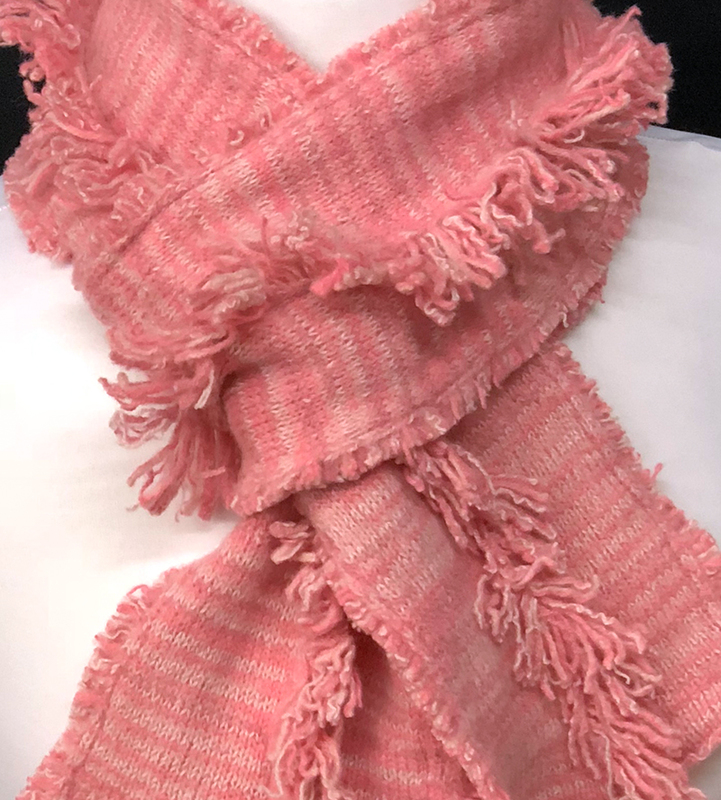 Each scarf is hand crafted with nature-inspired tactile fibers that may have subtle variances. Colors may vary due to variation in monitors. Yarn swatches available upon request for a nominal fee.